How to sponsor Nambucca Nippers! Thank you for taking the time to consider Nambucca Heads Nippers in the form of sponsorship or donation. In N.S.W alone, almost 30,000 Nippers take part in this valuable program every year. 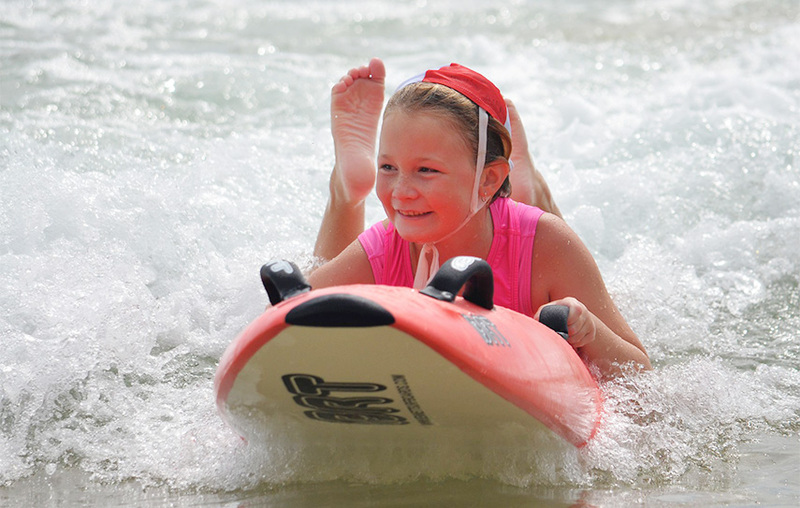 For our small regional town we have approximately 130 junior Nippers, which is incredible! As a regional coastal town this is a great opportunity for the kids to learn about water safety and surf awareness in an environment surrounded by and in association with the iconic Surf Life Saving movement. The Nambucca Heads Surf Life Saving Club was founded in 1910, so is not young in any means. However we need your help and support for the junior club for the upcoming 2018/2019 Season. The Nambucca Heads SLSC is a charity and not for profit organisation and relies on our volunteers, members and community partners to help us fund and carry out our activities. As a sponsor you will be supporting our nippers from the Under 6’s through to Under 15 years of age, in training, mentoring and guiding our members to become the next generation of patrolling Surf Lifesavers. Sponsors make up a vital component of the club by underpinning all club events and activities through the provision of much needed equipment, clothing and funds. Being a Sponsor of nippers. It is more than simply making a donation. It is changing the lives of the incredible nippers within our club one moment, one memory and one experience at a time. Surf Lifesavers offer a unique and important service to the community and endeavour to keep the beaches safe in all conditions. This is a platform for Life Savers and Life Guards of our future. Organizations can capitalise on the positive associations by aligning their brand with surf clubs and Surf Life Saving competitors. • Offset Clothing costs for families. • Training resources and props. • Sunscreen and sun safety initiatives. • Gas for the BBQ. • Food and sundries not donated. Please contact to see how you can help. Thank you for your support in any way it means a great deal.